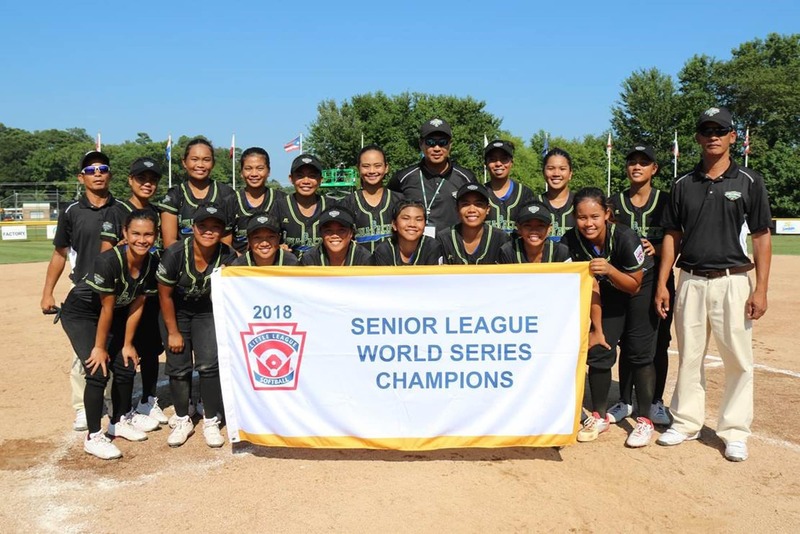 Tanauan Little League (Asia-Pacific Region), from Batangas, Philippines captured the 2018 Senior League Softball World Series Championship by defeating Texas District 9 Little League (Southwest Region), from Waco, Texas, 7-0. Royevel Palma didn't allow a single run against Southwest, throwing a complete game shutout. Asia-Pacific secured the victory thanks to four runs in the third inning. The big inning was thanks to singles by Marika Joana Manaig and Palma and a double by Mae Langga. Palma was the winning pitcher for Asia-Pacific. She lasted seven innings, allowing two hits and zero runs while striking out 15 and walking zero. Kennedy Parker took the loss for Southwest. She went two and a third innings, allowing four runs on four hits and striking out three. Asia-Pacific had ten hits in the game. Manaig, April Joyce Rosita, and Jamm’n Joyce Rasco all had multiple hits for Asia-Pacific. Manaig went 3-for-4 at the plate to lead Asia-Pacific in hits.